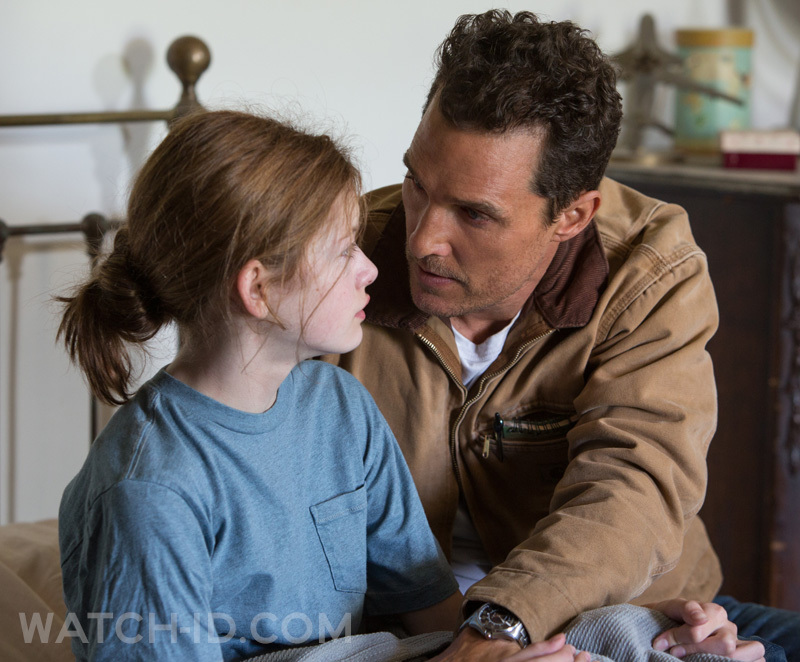 Time plays a critical role in the film Interstellar, a science fiction adventure film directed by Christopher Nolan. 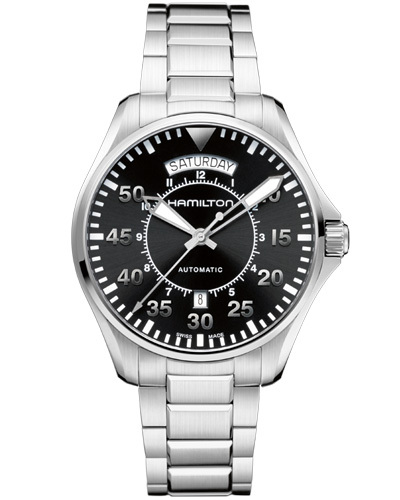 Hamilton worked hand in hand with the production team to design a unique Hamilton timepiece for the character Murph (played by Mackenzie Foy and Jessica Chastain), and provided the Hamilton Khaki Pilot Day Date to outfit Cooper (played by Matthew McConaughey). The exact model that McConaughey wears is the Hamilton Khaki Pilot Day Date Automatic H64615135. This watch can be found at watch boutiques that sell Hamilton, or online on Amazon.com or on Amazon.co.uk for £593. On eBay you can find several of these watches on offer as well. Hamilton has been featured in over 400 films, using it’s watchmaking knowledge to help movie makers create the perfect watches for their characters. 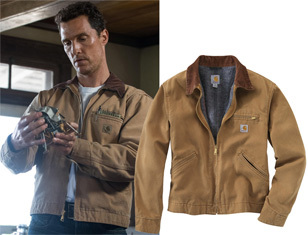 Matthew McConaughey also wears a sand color Carhartt Weathered Duck Detroit jacket/blanket-lined/with brown rib collar (model nr RJN001), in the film. Get this jacket now while it's still available, on Amazon for $70.99 - $79.99.